Mr. Rachmiel joined the firm in June 2007 after spending seven years at a small insurance defense firm where he acquired a firm grounding and significant experience in multiple areas of defense litigation. Mr. Rachmiel handles cases in many areas, including automobile negligence and PIP defense, premises liability, products liability, professional malpractice, asbestos litigation and Worker’s Compensation matters. Additionally, Mr. Rachmiel has argued several cases before the Appellate Division including one that was approved for publication. 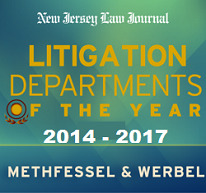 Mr. Rachmiel is a member of the New Jersey Bar Association and the New Jersey Defense Association. Mr. Rachmiel is a member of Paul J. Endler’s team.